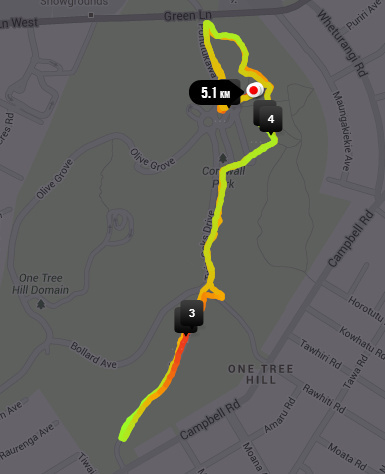 My running has been improving of late. Sort of. My shin splints haven't returned, or rather I don't feel the effects while I'm running. I still get the annoying burning sensation in my right shin when I'm resting. If it gets too much though, I only have to get up and walk around the house or go and do something, and it goes away. I'll just add this little niggle to the many accumulating niggles I've developed since starting to run more than just a slow 5km three times a week. I guess it's not surprising really, but during my first year or so of running, my distance never went over that 5km mark, and I never had any problems. At all. I even remember clicking on a wee survey on the Runner's World website - it asked about your injury history and I clicked 'never had a running injury'. I was very pleased with myself. 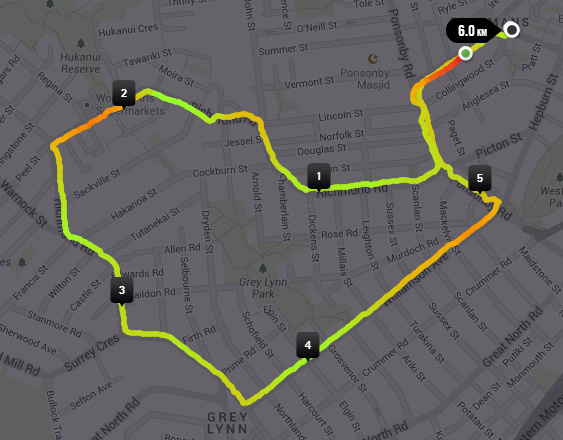 Shortly after that, I started to increase my distances because I wanted to do the Auckland quarter marathon. I can look back at my running history on Nike and see the gaps. There was a three month break in mid-2012 for other reasons, but every drop in mileage is due to an injury and I know what each one was. The first one is fairly apparent - I developed runner's knee because I went from no running for three months to running 102km in August 2012. I didn't build up gradually enough. The next was the snowboarding injury in February this year. Very soon after that, I tripped and damaged my kneecap. After finally getting back on track again, I got shin splints. Blah. At the moment I'm walking a very fine line between training enough for the North Shore half marathon in three weeks, and not causing another injury by upping the mileage too quickly. 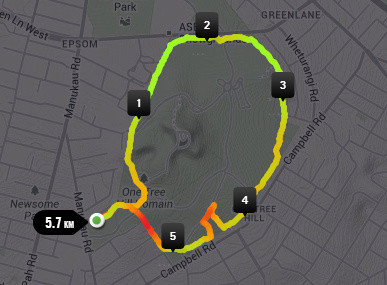 I was a little naughty this last week running just under 31km, when I'd only run 18km the week before. That's way over the recommended 10% increase. Oops. I scared a lady too. She'd heard me tramping through the long grass, but got a fright when I suddenly appeared over the other side of the fence next to her! Note to self: do not drink the night before a long run! I felt completely wiped out for the rest of the day, but I still managed to make some ridiculously yummy glazed cinnamon scones for lunch ;) Today is most definitely a rest day! I think I'll do some relaxing yoga. And make some English muffins. I've been having some more (or should I say s'more) fun in the kitchen in the past week. I made some graham crackers (yum! ), some chocolate spread, and some marshmallows, put 'em all together, and had s'mores. Yay!! I'm looking forward to trying pasta with cauliflower sauce this week (btw our new favourite 'pasta' is this stuff. Amazeballs), and we're getting hazelnuts in our Foodbox delivery so I'm going to try chocolate hazelnut oatmeal, although I'll omit the hazelnut extract because I'm not really a fan of hazelnuts. I might even splash out and get some goat's cheese to have this breakfast salad too. Although blueberries aren't available yet, so I'll have to defrost some frozen ones. Not quite as yummy, unfortunately.